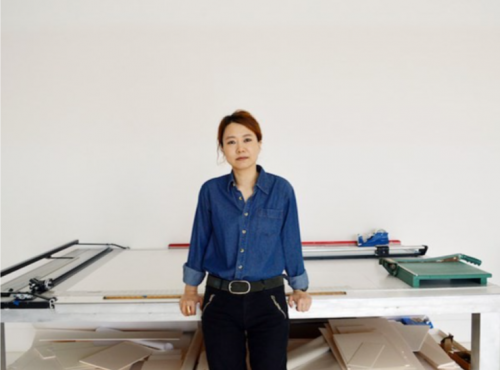 An artist of many forms, Minouk Lim creates works that move between and across the boundaries of different genres and media—including music, video, installation, writing and performance—as a means of revealing and amplifying marginalised narratives within the context of South Korea's rapid democratisation and industrialisation. Born in 1968 in Daejeon, South Korea, Lim has herself witnessed the rapid changes of her surroundings—as explored in the video work Portable Keeper (2009), where musician Kwon Byungjun wanders through forgotten and dilapidated areas of old towns, highlighting the societal alienation inherent to modern transformation. As a whole, Lim's practice seeks to examine objects embedded with performativity, different methods of performance and imaginative modes of creating records. Such an inclusive approach embraces different fields of history, politics, philosophy and literature, drawing reflections on everyday life and challenging the routineness of life. Haunted pasts are unveiled in projects concerning the massacres of South Korean civilians by the government in the 1950s, as seen in Navigation ID (2014), a project created especially for the 10th Gwangju Biennale, and Burning Down the House (5 September–9 November 2014), curated by Dia Art Foundation director Jessica Morgan, which revolved around transporting two freight containers with the mortal remains of massacre victims to the square outside the halls of the Biennale's entrance. Navigation ID sought to involve the relatives of the victims, who were chaperoned in buses that followed trucks containing the remains, as they made their way to the Biennale. Resembling a funeral march, footage was filmed from a helicopter and by camera teams on the ground and was broadcast live on a South Korean online news website. Indeed, the media plays a significant part in Lim's practice, standing as a medium in its own right, and was the subject of Lim's first solo exhibition at Tina Kim Gallery in New York. Entitled Mamour (2 November–20 January 2018), the exhibition centred on broadcast TV and its capacity to unveil marginalised narratives. This conversation is an edited transcript of a discussion that took place on 4 November 2017 between Lim and Jessica Morgan on the occasion of the artist's exhibition, Mamour, at Tina Kim Gallery. Lim speaks about the extensive work that goes into her historical research, for which Lim digs into forgotten pasts—a process that often involves confronting personal and universal traumas.